Mr. Dupras has extensive experience with planning, design, layout and engineering of HVAC, plumbing, fire protection systems for a wide variety of buildings ranging from large commercial and institutional projects to complex residential buildings. Mr. Dupras has served as a project manager on many of these projects. He has experience in conceptual planning, design development, final contract drawing preparation, bidding, construction, contract execution and project close-out. He offers experience in a wide area of Mechanical Engineering including air distribution design, process piping layouts, pumping system design, pneumatic, electric, electronic and DDC Control systems design, energy management systems, energy conservation surveys and reports, domestic water system design, sanitary system design, storm water system design, energy recovery system design, fuel oil system distribution and storage tank design, hospital HVAC system design, industrial collection system design and specialized air conditioning system design. 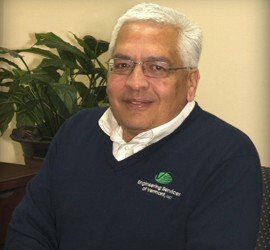 1996 – 2010: President of Lane Associates Consulting Engineers, P.C.